The members of our cohort have begun to go their separate ways at this point. 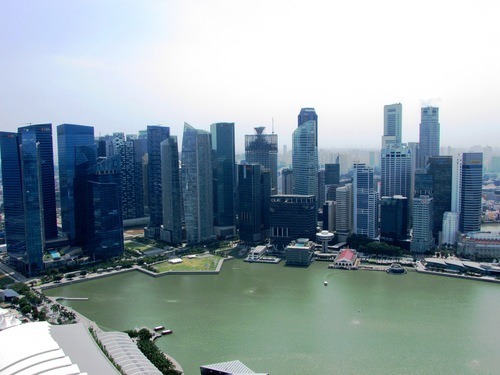 Due to complications in acquiring visas, a little less than half of the ETAs are going directly to their sites while still using their visas on arrival, and will soon go to Singapore to get their extended stay visas. 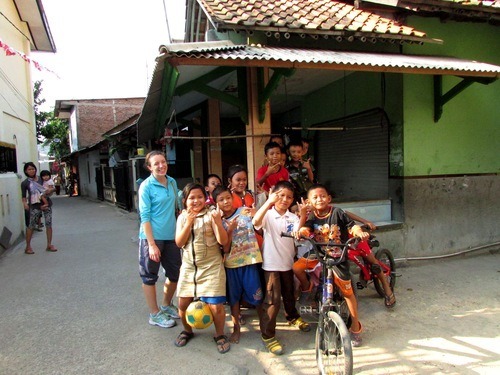 For those of us whose paperwork is finished, we have our bouncing back and forth between Jakarta and Singapore to do, and then it is off to our sites, not to see the whole group again until the Midyear Conference. Our short stop in Jakarta also reminded me that as unusual as some Indonesian customs may seem to me, I can be just as baffling to Indonesians. 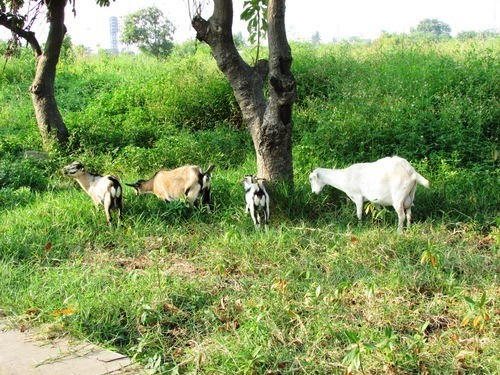 While wandering the streets near our hotel, we came across some goats grazing along the side of the road. Being a born and raised farm girl, and having showed cows and goats at the local fairs for years, I tend to get unreasonably excited whenever I come across familiar farm animals in other countries. As I snapped a few pictures and my fellow ETAs challenged me to identify the breeds of kambing-kambing we were looking at, a group of boys playing nearby pointed and laughed at us. I did not need my friend who is fluent in Indonesian to tell me that they were wondering why I was so excited about a few goats. Of course, I did not have the Indonesian to explain myself. Perhaps it is less of an issue of oddity and more an issue of communication. 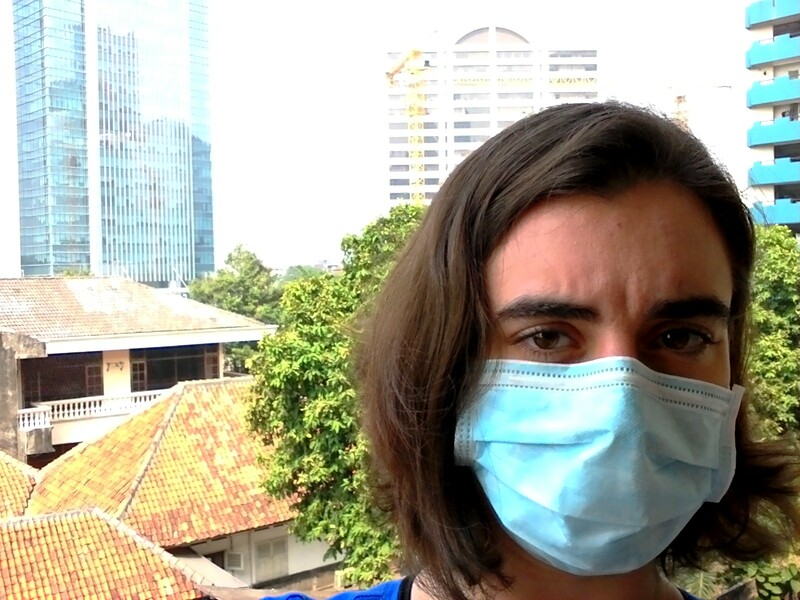 I hope that as I learn more Indonesian and explore more of this varied nation, I will begin to better understand what for now leaves me feeling more than a bit lost. 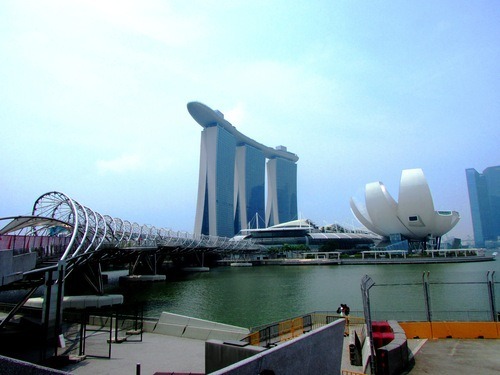 Acquiring our limited stay visas required us to spend a day in Singapore. Going from Bandung and Jakarta, where, though they are some of the most developed cities in Indonesia, sidewalks end in giant holes filled with garbage and the air smells distinctly of exhaust, to Singapore, where the buildings look they belong in a Star Wars film and there is a fine of 500 Singaporean dollars for eating or drinking on the underground, was a bit like whiplash. A beautiful city to be sure, Singapore does not look or feel like it belongs to this century, or perhaps even this world. With four national languages, one of which is my native tongue, and an organized underground system which very much reminded me of the Tube system in London, with which I am so familiar, our day there should have made me feel at home and at ease, and it some ways it did. But in other ways it left me perhaps more confused than my time in Indonesia. The city was too clean, and too devoid of the bustling crowds I have come to associate with urban areas around the world. 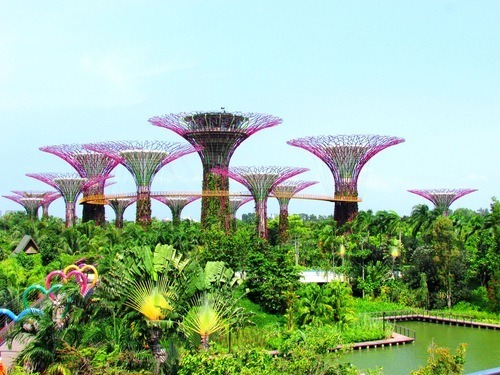 As we explored Marina Bay, including the Gardens by the Bay for which that part of Singapore is so famous, I kept expecting to reach out to touch the city and find that it was merely a digitally-altered photograph that had been placed there for me to look at, but never experience. 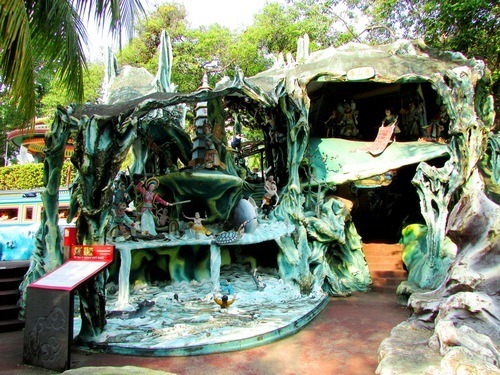 As we explored the grounds, we were introduced to various Chinese fables, and even entered a cave which led us through the ten courts of hell, complete with gruesome sculptures. It was as though Tim Burton had set out to summarize Chinese culture: I was not sure if I was supposed to feel enlightened or terrified, but I knew for certain that my attention had been firmly grabbed. 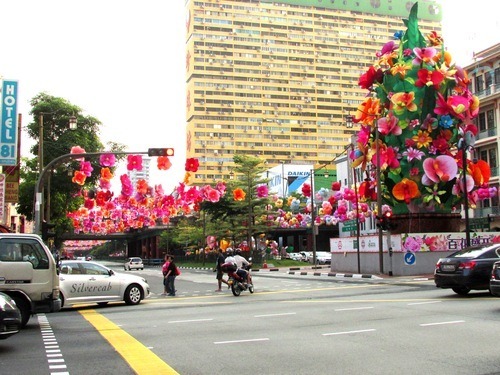 It was not until we went to Chinatown that Singapore began to lose its fantastical quality. Chinatown’s streets were decorated with beautiful fabric flowers, but it also had the low growl of motorcycles, courts of food stalls that felt very similar to the warung-warung I had become so accustomed to seeing in Indonesia, and even the occasional piece of litter, a site I strangely found more comforting than disappointing. 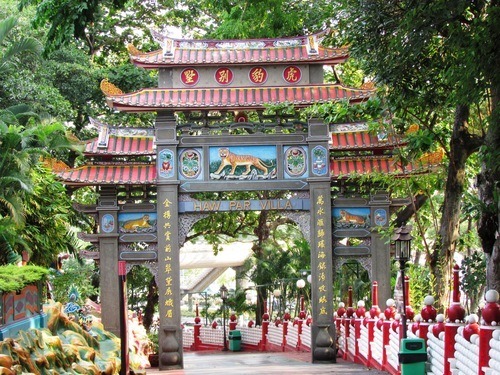 Our day trip to Singapore was an amazing experience, and I am incredibly grateful to have been able to briefly explore a place I never dreamed I would be able to go to. Still, I found myself missing Indonesia, even though I had only been there for such a short time, and in such a controlled setting. There is an earthy feel to Indonesia that I can see eventually feeling like home, and that was not present in Singapore. At the end of the day, Singapore did serve its main purpose, and we had our limited stay visas, which will allow us to acquire our permits at our sites and work in Indonesian classrooms for the slightly over eight months we have left in our grants. 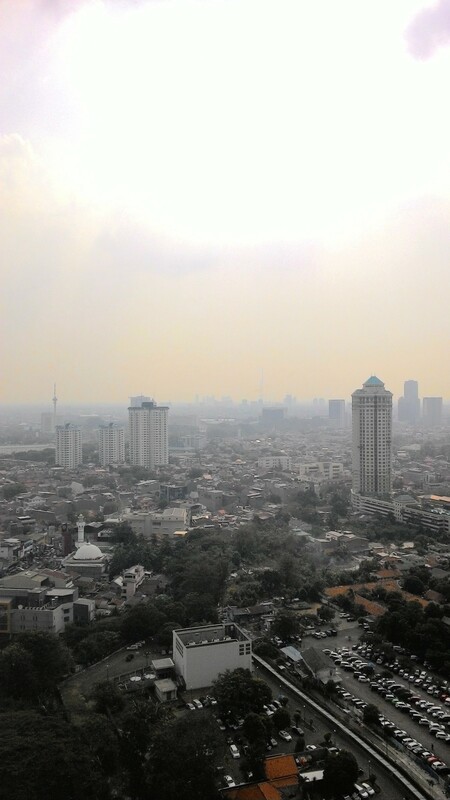 And so we waved goodbye to the city of the distant future, and waved hello to our own immediate futures in Indonesia.